We left home on an early morning flight. 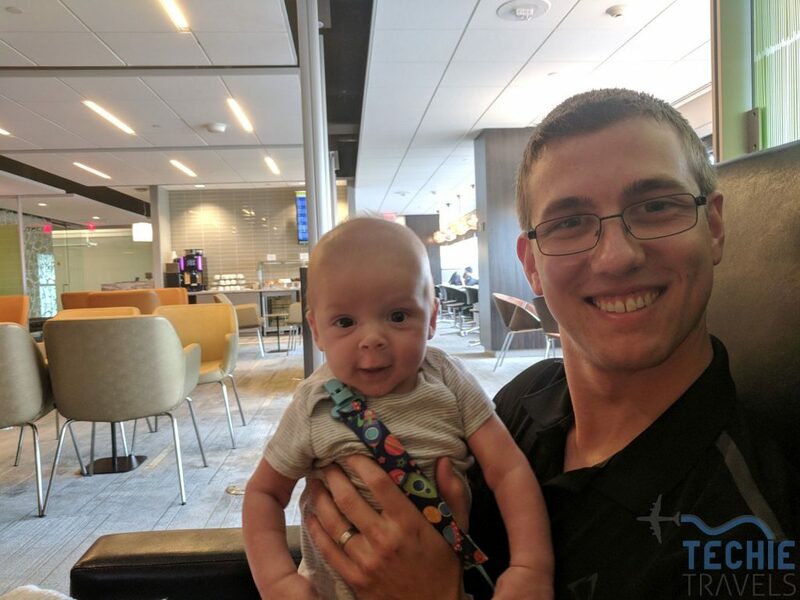 Thankfully, Baby B slept the entire first flight to Minneapolis. We learned from this trip that we will have to choose flights around sleeping times from now on rather than by price or convenience. Total melt downs are no fun for anyone. 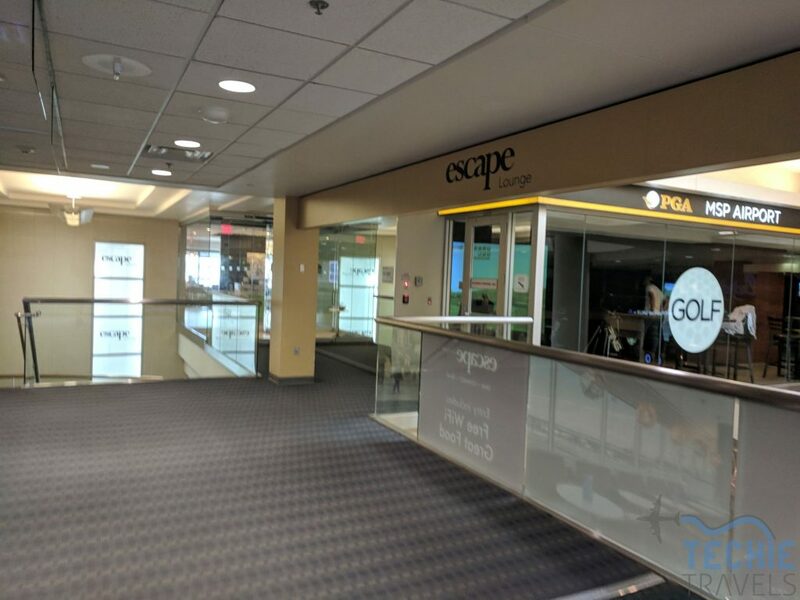 During our layover in Minneapolis, we visited the Escape Lounge. It is located on the mezzanine on the mall near the D and E gates. We had access via the American Express Platinum and American Express Business Platinum cards but you can also buy access for $40 per person and reserve your space online. Surprisingly, there were very few people in the lounge. It almost seemed as if people did not know it exists. The lounge was very large with plenty of seating available. Bathrooms were not inside the lounge but were right outside the door and not used by anyone besides lounge guests so nothing to complain about there. There were great views of gates and runways for plane spotting. 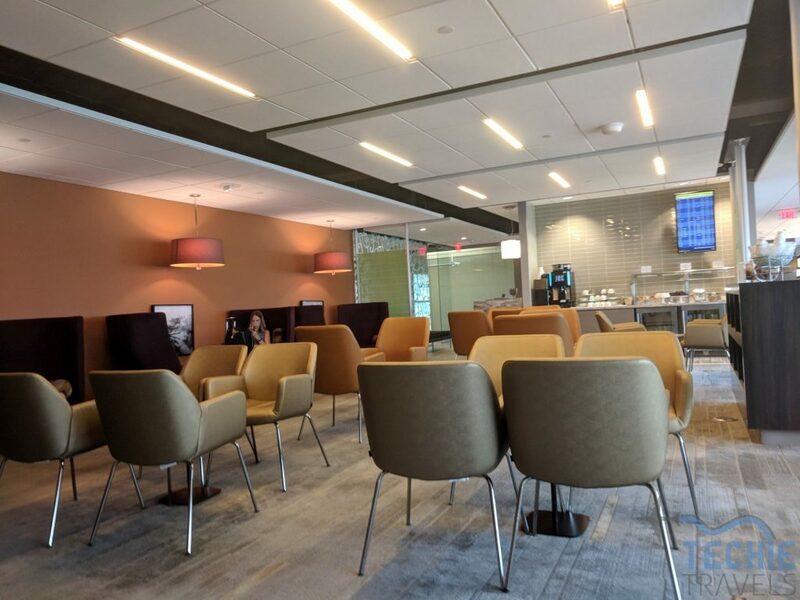 The lounge consisted of three main sections. 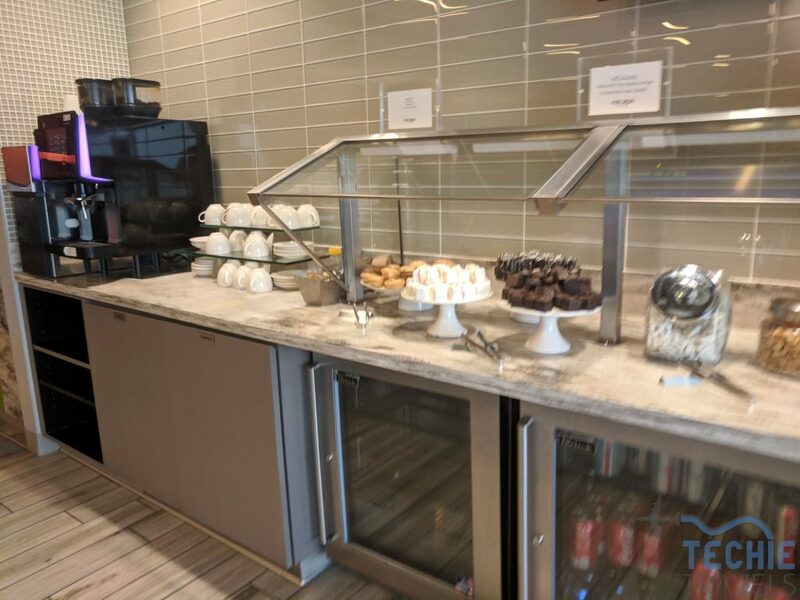 There was one seating section with a coffee machine and dessert bar. Then the main food area in the middle with a few booths. The final section was another seating area with the bar. All drinks and food were included. 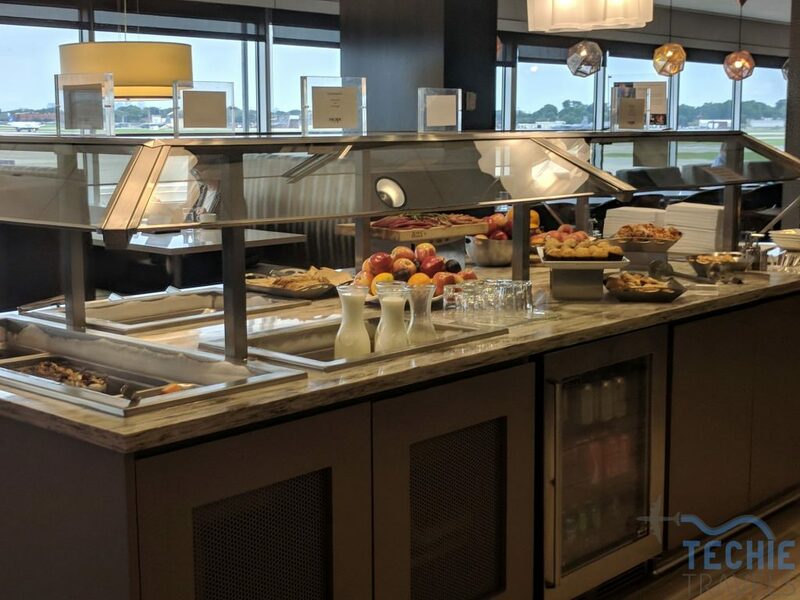 For breakfast, the food choices consisted of some quiche and eggs in these little pots, pastries, muffins, fruits, parfaits, and juice. There was also a cookie and dessert bar. 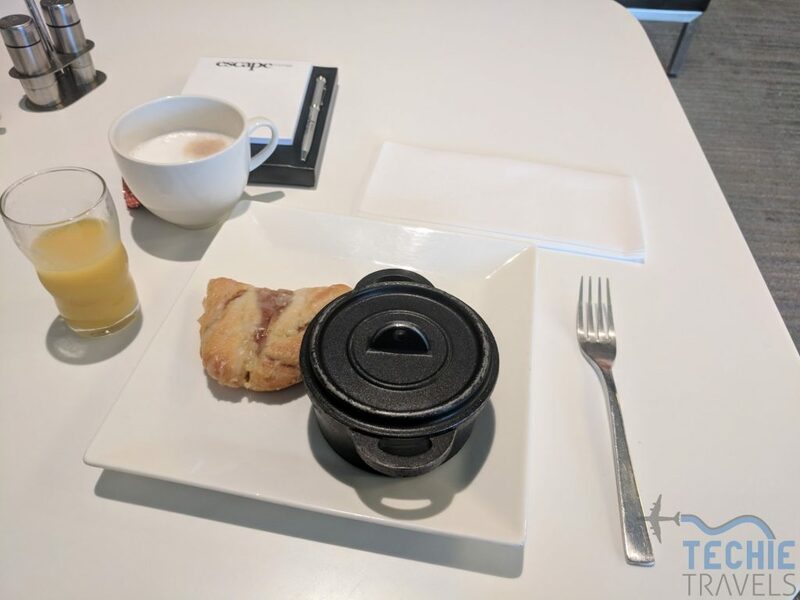 I would not say the food was on par with Centurion Lounges, but it ranks way above the airline lounges where hot options are few and far between. 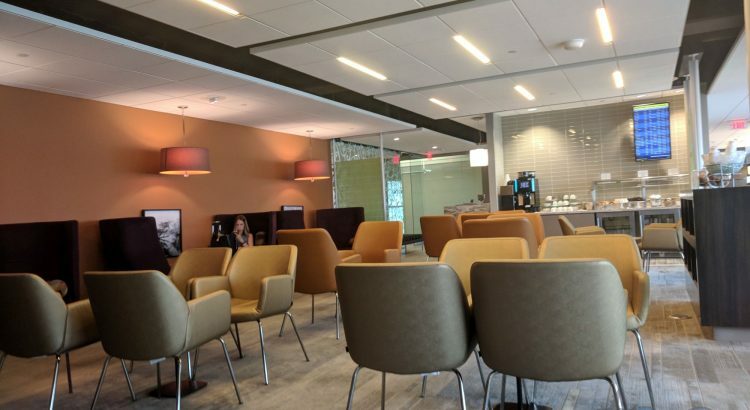 Overall, the lounge was a clean, modern, quiet escape (ha!) from the terminal below. I would definitely recommend it if you have free access via a credit card. The cash price is pretty steep though unless you had a really long layover or delay. Upon arrival in LAX, we picked up our rental car from the National Emerald Executive Aisle. The selection was pretty good with a bunch of sedans, SUVs, pickup trucks, and minivans. We managed to get an Audi Q3 which was a nice upgrade and suited our needs perfectly. We then began our drive up to Santa Barbara. We decided to take the longer route up Highway 1 to take in the sights. However, Baby B was not happy about being cooped up all day up to this point which made for a long, loud drive. Along the way, we made a stop at Target to pick up a few last minute items and groceries. We eventually made it up to the Kimpton Canary Hotel in Santa Barbara without hitting too much traffic. A review of the room and hotel will be coming in a future post. I had some ear pain that had started before the trip and the plane ride did not help the situation. So I went to a prompt care clinic just down the road from the hotel to get it checked out and it turned out that I had an infection. Another stop at the drugstore for some antibiotics and then it was off to find some food. For dinner, we went to Persona Pizza. I had the cajun chicken pizza and Samantha had the carne. It was very good, but one pizza would have been enough for both of us.